A UW-W Alum is working for a tech staffing company. They are currently looking for an entry-level .NET Developer. MOTOROLA is hiring a Networking Intern in Chicago. Would like applications by 4/24. Email your resume to Ryan Pisani at: pisani@motorola.com. Software Developer Position Description at this link. Have a Startup Idea? Come and Learn about Launch Pad! When: ACM meeting on April 30th at 5:15pm – guests welcome! Epic Systems in Madison, WI is hiring thousands of software developers. Now hiring intern. Please see position posting. See the attached Job Posting. Campus Tutorial Services is hiring for a Computer Science tutoring position and is looking for potential candidates. The job information is posted online at the HawkJobs website (http://www.uww.edu/cld/career). Please direct any questions to our current office staff at this tutorctr@uww.edu or by calling 262-472-1230. Career and Leadership has invited several agencies and companies to campus from 4/7-4/14. See the attached schedule. 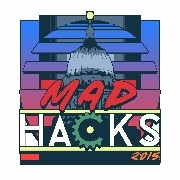 Madhacks Hackathon at UW-Madison wants you! click link above for more info.